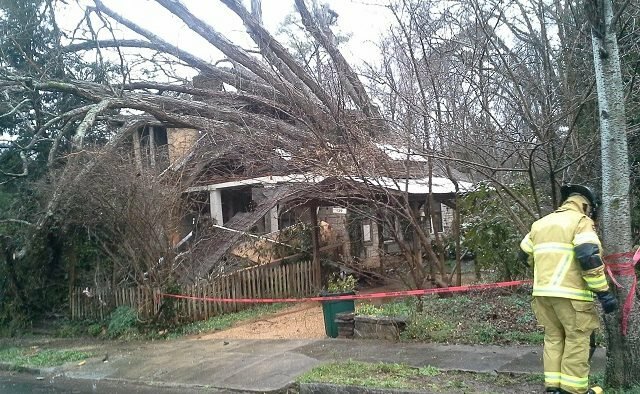 A giant tree fell on the Decatur home of famous garden designer and author Ryan Gainey. 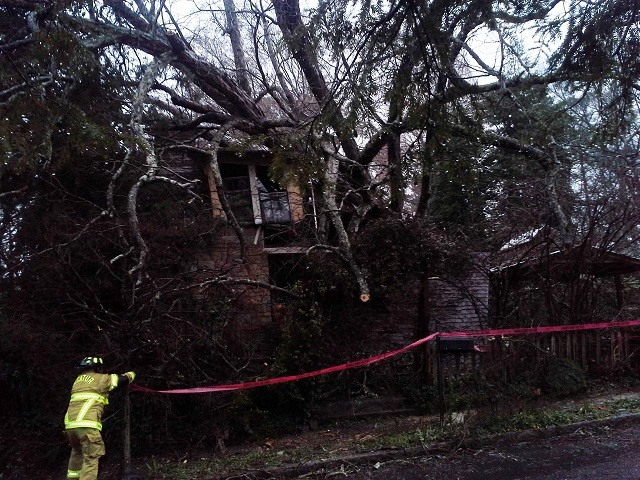 A Decaturish reader sent photos of a large tree down and firefighters on the scene at 129 Emerson Ave.
Gainey is an avid dog lover and has had multiple Jack Russell terriers in the past. 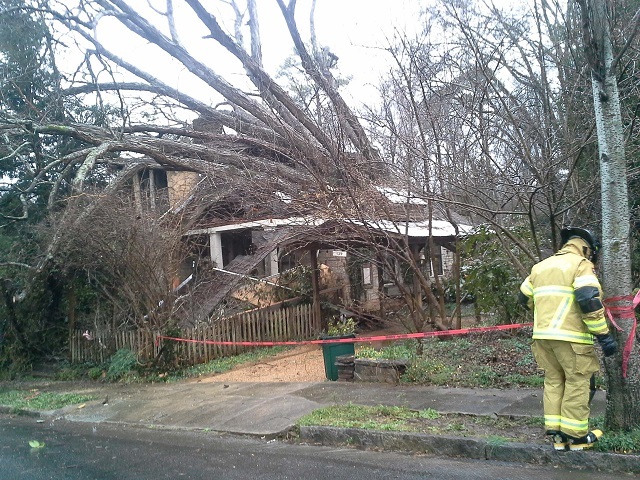 Deputy Fire Chief Stephanie Harpring said Gainey was not injured and is staying with a neighbor this evening. Gainey’s home has been featured in the Decatur Garden Tour, not to mention numerous books and magazines, according to Gainey’s website. 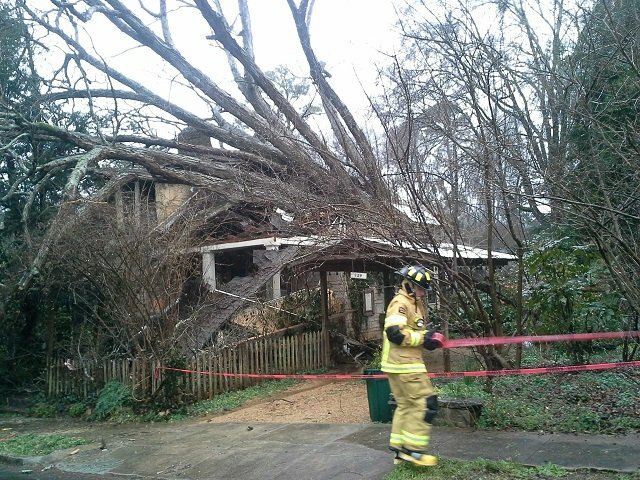 It’s not clear yet how badly Gainey’s home and gardens may have been damaged. Decaturish is working to find out more and will update this story as we receive more details.